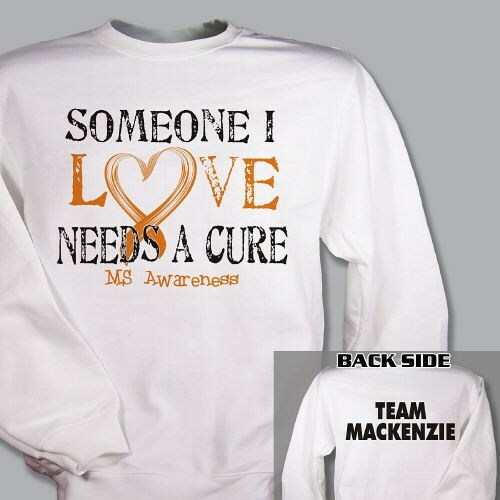 Support your loved one with this great Personalized Multiples Sclerosis Awareness Sweatshirt. Our Multiple Sclerosis shirts work great at any Multiple Sclerosis Walk Event where you can show your support and help raise awareness. Love my new sweatshirt. Family and friends want ones now too.